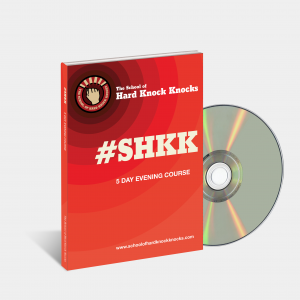 THE SCHOOL OF HARD KNOCK KNOCKS (SHKK) 5-evening stand-up comedy course runs from Sunday to Thursday, 6.30 pm to 9.30 pm, from August 27 to 31. 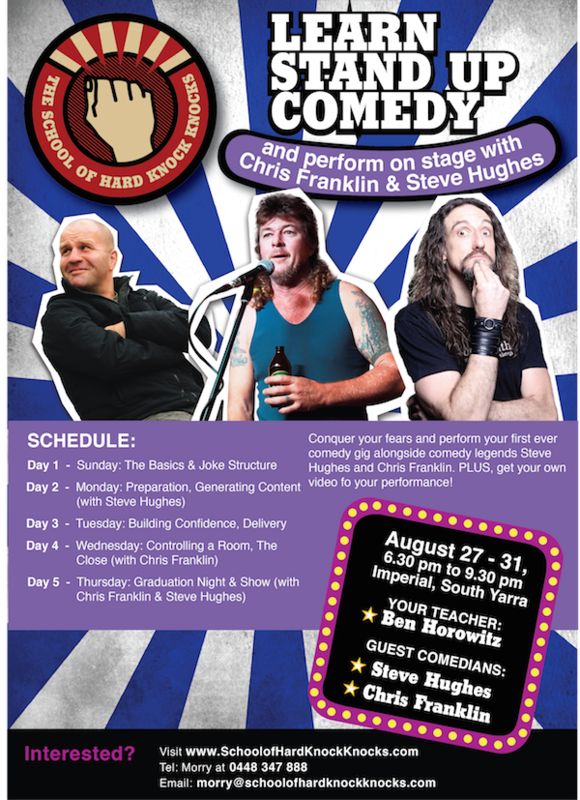 You’ll get the SHKK comedy manual, video of your graduating performance, and lots of coaching from a 16 year veteran of the comedy circuit – Ben Horowitz, as well as guest comedians Steve Hughes and Chris Franklin. Introduction to the basics of comedy, the jargon of the comedic industry, three different joke structures, before launching into the deep end with your very own mini set. Learn to gauge your audience and how to recognise and manage taboo topics creating new comedic material with guest comedian Steve Hughes. Learn how to be more confident, open strongly, and deliver using volume, tone, speed and pauses. 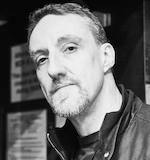 Practice delivering your set as well as building skills to deal with the dreaded (or welcomed) heckler before polishing a strong close to your set ready for tomorrow’s graduation ceremony, with a healthy critique from comedy legend, Chris Franklin. The moment you have been working toward! Perform your own stand-up comedy routine in front of family and friends, conquer your fears and perform alongside Ben Horowitz, and two legends of comedy, Chris Franklin and Steve Hughes. PLUS, you’ll get a video of your memorable performance. For more information, email morry@schoolofhardknockknocks.com or call Morry at 1300 068 882. 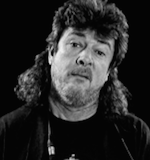 Steve Hughes is one of Australia’s greatest exports. An internally renowned stand-up comedy (and heavy metal drummer), Steve’s comedy is confronting, alarming, but always hilarious. 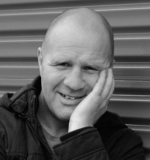 Steve has been touring the international comedy circuit for the past 10 years, performing throughout Europe, Australia, USA, Canada & New Zealand to rave reviews and sold out shows. Most recently Steve wrote and performed his most personable and intimate show yet entitled “Nervous Breakthrough” and is currently performing selected shows around Australia and New Zealand.